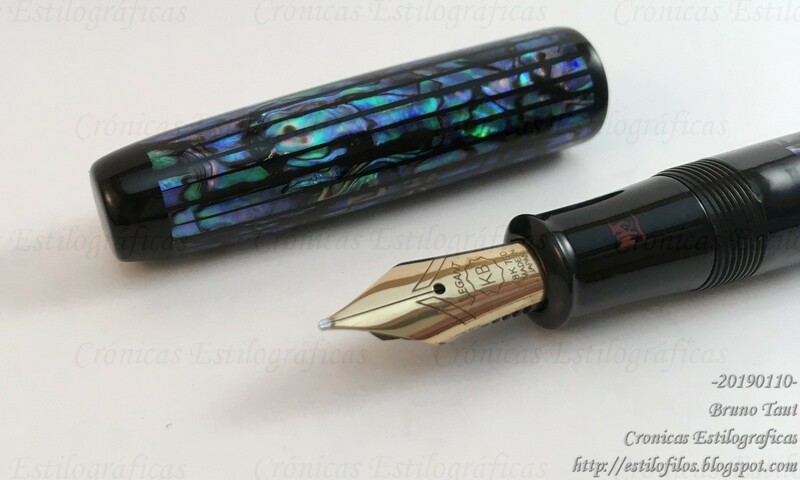 Long time ago I wrote about one of those mysterious pens—a pen that is known to exist but that I sso rare that has become almost mythical. That was the Platinum Knock, Platinum's take on the idea of a capless pen. Platinum Knock-18. 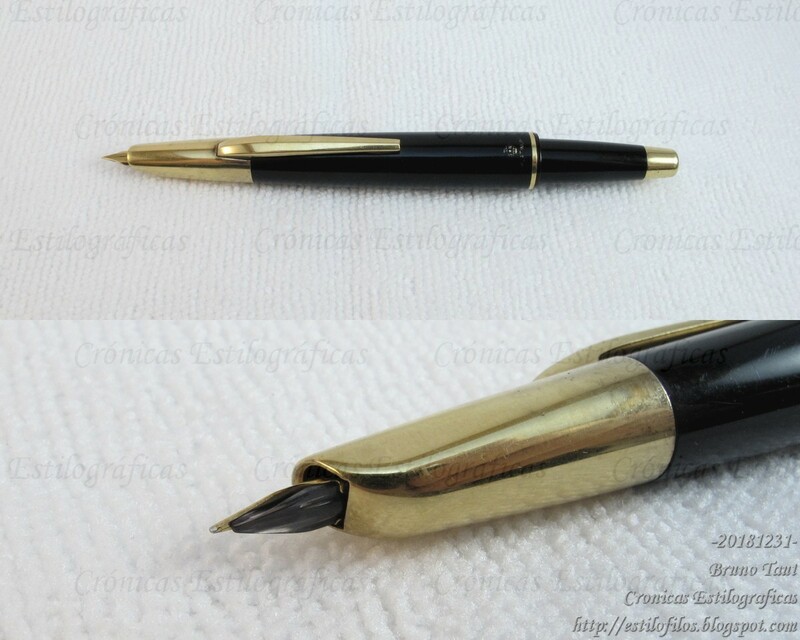 18 K gold nib, JPY 3000, 1965. That pen, marketed initially in 1965, was short lived due to the threats of Pilot to start legal actions. However, there were two version of the pen: the initial 1965, and a second one with a lighter cut-out clip in 1966. The two versions of the Platinum Knock. From a panel at the temporary exhibition at Itoya Ginza (January-February 2019). And now, thanks to a temporary exhibition on the history of Platinum hold at Itoya Ginza in Tokyo we can see that there existed an even rarer pen—the demonstrator version of the capless Platinum Knock. The demonstrator version. Did it ever make its way to the street, even in the hands of a salesman? So, let this be heard—there are transparent versions of the Platinum Knock, even if they were only prototypes. This is such an amazing find! I am fairly sure that not many were made and I'm glad to see that Platinum does have one and is displaying it now (perhaps the only one ? ) I do have the "regular" one with the cut outs on the clip and took a long time to find one. Apparently, Platinum has two... at least. One of the first model, and another of the second with cut-out clip model. That is what they show on the book on the 100th anniversary of the company. Unfortunately, that book is not for sale, and you need to buy the anniversary pen to get it. Being prototypes, they are likely to be very scarce. I must correct my own words. I went to check the book on Platinum's history, and the demonstrator Knock there displayed are two (or just one in two pics) of the second model, from 1966 with open clip.